When you are preparing to sell your home, most realtors advise that you keep your home clean and uncluttered. You still want furniture and artwork in the house, but much of your extra furniture and personal possessions should go to a self-storage unit in Capitola, CA . 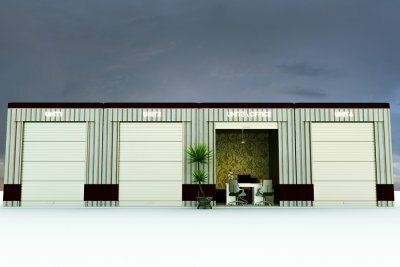 By using a storage unit, you can begin the moving process and sell your house faster. Declutter your home. This means that any unmatched furniture and extra decorations should go in a storage unit. Decluttering also helps to make your rooms and house seem bigger, which will help convince prospective buyers to purchase your home. You want to depersonalize your home as much as possible. Pack up knickknacks, pictures, and personal decorations. Place them in a storage unit rental until you move to your next home. Keep each room’s décor simple and matching. Your dining room should only have a dining table, chairs, and maybe a few decorations. Your living room should have matching couches and end tables. Make your house look streamlined and ready for anyone to move in. What Packing Materials Do You Need? The container you use for your items may depend on how long you plan to use your storage unit. To fully protect your clothes, dishes, and personal possessions, consider using sealed, plastic containers. These are easily stackable and will protect your possessions against pests, flooding, or other unexpected accidents. 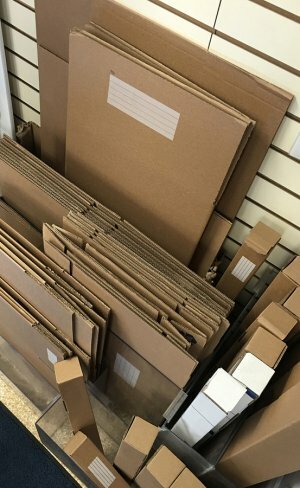 If you anticipate taking items out of storage within a few weeks or months, you may prefer to use cardboard boxes that can be easily broken down and discarded. You should always have packing paper to protect your fragile possessions, like dishes and glasses. If you have very fragile items, such as delicate crystal glass, then consider purchasing bubble wrap. It is smart to have packing paper available to separate less fragile items, such as lamp shades and hanging art. Some products may have vibrant dyes that can be transferred to other products unless there is a barrier between them. Plan on wrapping all of your items individually to keep them protected during their time in storage. Plastic wrap is something you should use to protect your larger items. Furniture, rugs, and mattresses should have some sort of plastic wrapping. 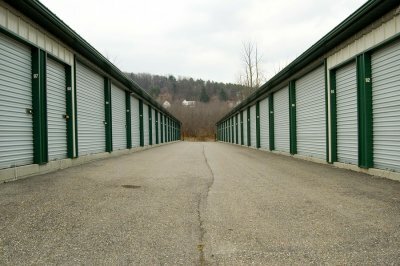 This will protect them from potential pests and dust or moisture in your storage unit. Some items, like custom wall art or decorations, may require different storage options, such as a climate-controlled unit. Depending on what the item is and how it is made, plastic wrapping may cause moisture where there should be none. When in doubt, ask your professional storage services about how certain items should be stored.